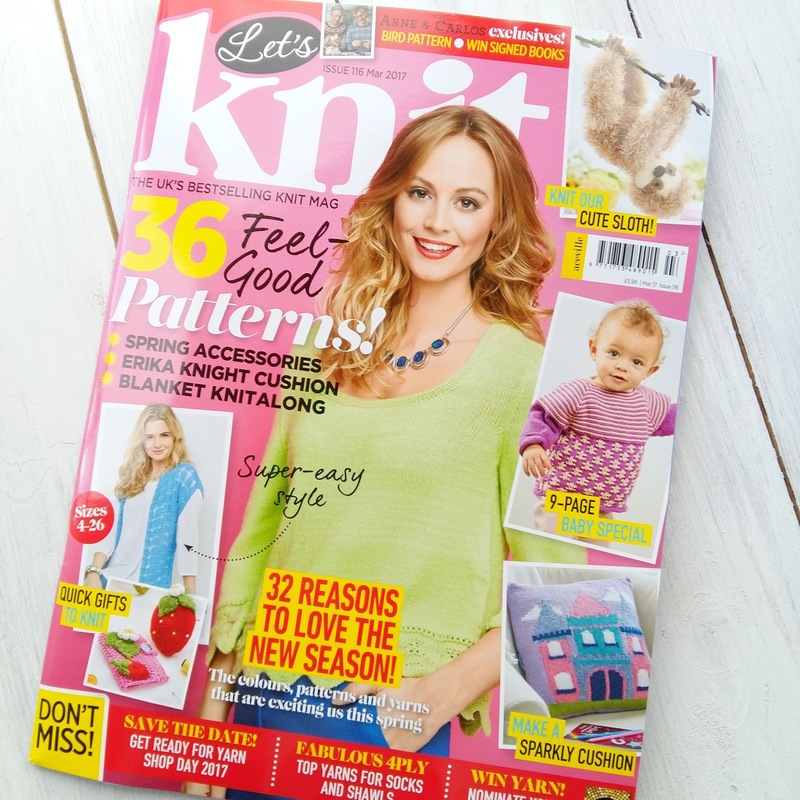 The March issue of Let's Knit arrived just as I left for Unravel. I was very excited to see that my design made the cover of this issue. 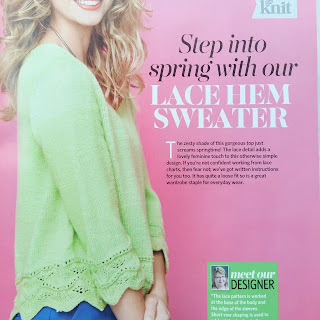 I designed a feminine, slightly loose fitting, comfortable spring sweater which can be worn all year around. The sweater is mainly worked in stocking stitch but has an interesting lace hem on both the body and the sleeves. The back of the sweater has short row shaping to create a slightly curved hem. 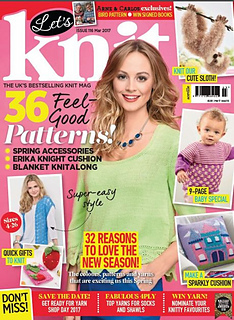 Let's Knit 116 is in the shops in the UK now! I knitted this sweater in Yarn Stories Fine Merino 4ply which is a lovely pure merino yarn which is very nice to knit with and has great stitch definition.